Governor Kim Reynolds is hiring a lawyer with a long career as a child advocate to lead a state agency under scrutiny for how its child welfare programs are managed. 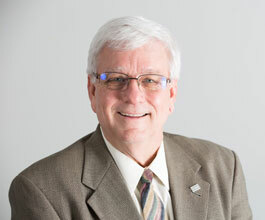 Sixty-four-year-old Jerry Foxhoven will take over as director of the Iowa Department of Human Services on Thursday. Foxhoven worked primarily in juvenile and family court until 2000, when he took a job in the department. He was administrator of the Iowa Child Advocacy Board. He also managed the Iowa Citizen Foster Care Review Board as well as the program that appoints advocates for children involved in court cases because they were abused or neglected by a parent or guardian. Since 2006, though, Foxhoven has been working outside the DHS, leading the national Center for Children’s rights. He’s also been a Drake University’s law school professor for the past decade. In 2014, Foxhoven led a coalition that released a voter guide showing how former Governor Terry Branstad and his Democratic challenger would address issues like child care, foster care and preschool. “There are major child policy issues which much be addressed for childrens’ and Iowa’s properity into the future,” Foxhoven said in 2014. Photo from the Drake University Law School web page.